Some people have very little inhibitions when it comes to travel. They pick up and go at a moments notice and perhaps without even a fully thought out plan. While others want to travel but may have travel fears that are keeping them at home. If you are one of these apprehensive folks, I understand your concerns but would encourage you to strategize ways to still get out there and explore this great big world we live in. The more of the world you see, the less scary it will seem. Everyone loves going on vacation … but not everyone loves planning a vacation. And that’s okay! That’s what tour companies, like ours, are for. 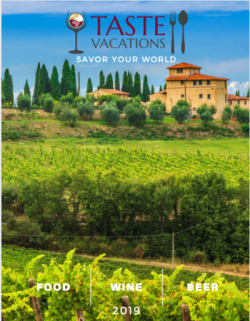 You just need to sign up for your chosen tour, book your flights, and we’ll take care of all the logistical details like booking hotel accommodations, reserving tastings and meals, and getting you from point A to point B on our itinerary. Private tours can be just as easy to plan – you select your itinerary, choose your preferred dates, and gather your group. Unfortunately, some private tours can hit a snag with that last step, gathering your group. Surrounding most holidays, you’ll find a wide assortment of holiday meal traditions that vary by country and even by region. Nothing says “Happy Holidays” like sitting down with your loved ones to share a hearty meal.